The news is encouraging. 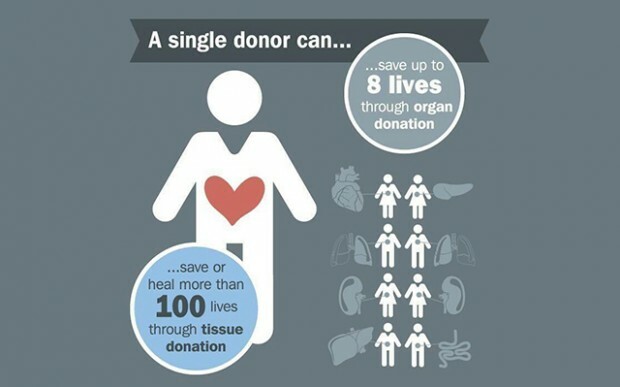 Even with the rising number of registered donors, the number of people waiting for a life-saving transplant exceeds the number of suitable donors leaving an average of nearly a person every hour to die because the organs they need are not donated in time. And despite the fact that 95% of U.S. adults support organ donation, a mere 54% of them have signed up to be a donor themselves. As a trusted health professional, your words on the topic can greatly impact perspectives on being an organ donor, help see through myths, and, at the very least, help people remember that donating is important. Consider this: If you are responsible for encouraging even just one patient per year to sign up to be a donor over a 30-year career in medicine, that is up to 240 more lives you will help save. That’s more people than live in many of the U.S.’s smallest towns. Here are the top 7 myths to prepare you for the conversations your patients really want to have about becoming an organ, eye, and tissue donor. The Truth: This is often a misunderstanding. The majority of major religions consider donation a decision of the individual, and many even go as far as supporting organ donation as a final act of love. OrganDonor.gov offers some details and quotes on this, or speak with your local faith leader to be sure. The Truth: When a registered organ donor is declared dead, doctors go through extra processes to verify that this is true (free of charge). As a part of the “Code of Medical Ethics” at least one physician other than the recipient’s physician must validate that the donor has deceased. The Truth: In Canada the oldest organ donor was over 90 and the oldest tissue donor was over 100. With 8 possible organs to donate, tissue, and eyes, there’s always potential that you can help save someone waiting for a transplant. Each potential donation is evaluated on a case-to-case basis. The Truth: There are very few illnesses and conditions that prevent someone from being a donor. Before donation, your medical and social history will be reviewed to determine the possibility of any organ, eye, or tissue donation. Myth 6: If I donate, I won’t be able to have an open casket. The Truth: Doctors maintain the upmost respect for the donors while using a routine operation to remove your donations. An open casket won’t be a problem. The Truth: It is against the law to accept payment in exchange for an organ, and there is a regulated donor matching system based off of organ compatibility, location, and size that truly determines who will receive a donated organ. A picture says a thousand words. Something as easy as hanging a poster, or placing an educational brochure in your waiting room could instigate registration, or start the conversation about becoming a donor. We have compiled a few free resources for you to promote Donate Life in your workplace. Click on the posters below for the free printable version, as well as other options to display at your workplace. This year’s Donate Life theme is “Life is a beautiful ride.” Participate in the Donate Life campaign by expelling the myths about becoming an organ donor and encouraging your patients to register to be an organ donor. Donate Life also has a variety of media to utilize from posters, to Facebook filters, to web banners that you can share on your website, social media platforms, and on the walls of your waiting room. According to Donate Life, 95% of Americans are in favor of being a donor but only 58% are registered. You can help bridge the gap by spreading awareness to register today. 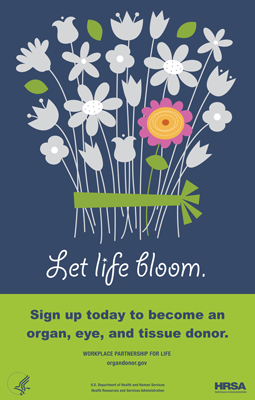 As a physician do you solicit your patients to register to become organ donors? 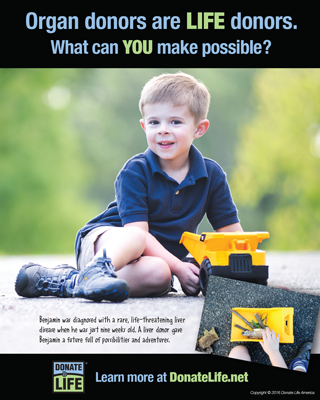 Have you ever been in a position where you approached a patient to become a living organ donor? What was that experience like? 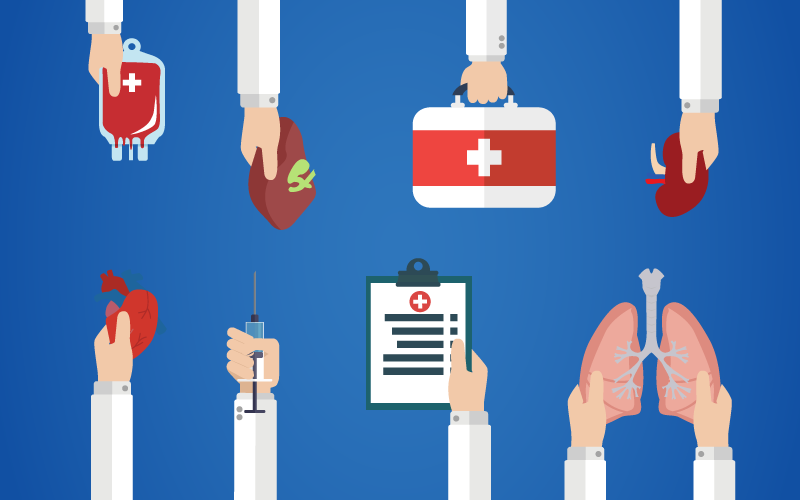 Have you had many conversations about organ, eye, and tissue donation with your patients?